Q & A about #editing on Tuesday! We’ll be talking about submissions, editing, and writing. 1. How many different flavors of editor am I? 2. What are my biggest pet peeves when I receive a submission? 4. Why publish poetry when no one reads it anymore? 5. Why do I hate prologues? 6. Why is knowing your audience important? 7. 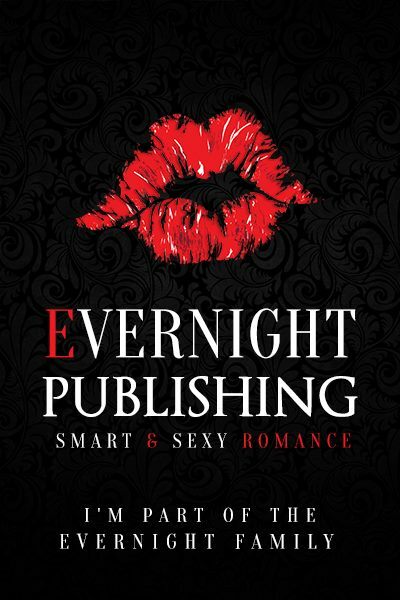 How do you know if a small publisher is legit? 8. Why shouldn’t you design your own book cover? 9. How much money do authors really make? 10. What is head hopping? 11. Are social media and self promotion important? Shadow and Shade by Matt Gerrard now available! A good friend of mine has just released a new fantasy novel! Check it out! Shadow and Shade by new author Matt Gerrard now available! Logan doesn’t just hunt with wolves. He talks with them. He can also see in the dark, heal, and feel the emotions of the forest itself. If only dating were so easy. Marissa, the missionary’s stepdaughter, captivates him with her fiery spirit. Logan’s taste for trouble and strange ways fascinate her. Marissa’s stepfather fears that Logan will drag her into darkness with his heathen ways. Logan’s mother is outraged because she thinks Logan is abandoning the blood of their people. Angry words turn to vengeful deeds. Logan and Marissa become ensnared in a web of bitterness that was spun hundreds of years before they were born. Blood demands blood, and it refuses to be denied. His father’s face hardened. Wolfmark pointed toward the creek with his staff. Logan hid his glare and waded into it. He was afraid, but his father was really getting under his skin now, and he wanted to get this over with. The depth was deceptive. The spring dug an uneven channel through the rock, and he found himself in water up to his knees by the time he reached the middle. The staff helped him keep his balance. He was careful to shove the rocks aside as he walked, so that he wouldn’t jam his feet between them. Legs broke that way, and people drowned with the water barely over their heads. Boy, I really pick what to think about, don’t I? The icy touch of the water reached around his feet. Wolfmark ran over to some rocks on the bank, checking the sky again. The wind blew spray into Logan’s face. His father seemed to be looking for something, or waiting. “What should I do!” he repeated. Logan swallowed. This wasn’t good at all. Every time the spray reached around his body it made his hair stand up, and every time his hair stood up he waited for the bolt that would turn his chest into a charred, black hole. Darkly, he reflected that being struck by lightning had to be one of the most unique ways to die in all creation. Laik would probably like it that way. Make sure the people remember how you died. Logan fixed his staff between a pair of heavy rocks. He settled down into a horse-riding stance, his legs straddled and his body lowered almost down to the water. He felt tiny branches and weeds under the surface tugging and snagging at the hair above his ankle. It soaked through his shoes and mushed the leather against his feet, blackening them with grit he couldn’t see. Gooseflesh prickled his chest and arms. Logan exhaled, staring into the trees where the grove edged the creek. Above them he saw the sky, and his hair stood again with fear as a streak of lightning rippled across the grayness. Logan didn’t reply. He imagined himself as a boulder, and settled even more heavily into his stance. If his father was going to be this way, then he’d just have to do it right and show him. The feeling of the water coursed through his body. Logan raised his arms over his head, spreading them out as if he felt a glass dome against his hands. Lightning flashed again, and again. The thunder reverberated in his chest. Logan telescoped his hands in and out. He wanted to jump. He wanted to run. A bolt shattered the sky, like a hammer shattering glass over his head, and the thunder bolted the muscles in his chest. He wanted to scream. Matt Gerrard is a lover of fantasy, science fiction, and all things wildly creative. Shadow and Shade is his first novel. It came from a firm conviction that wizards should sweat and get dirty instead of wearing pointy hats. He currently lives in Massachusetts, where he works, practices yoga, and invents little fictional universes. Reading at Manayunk-Roxborough Art Center Sunday! Come one, come all–I’m reading at Manayunk-Roxborough Art Center Sunday, May 4! I’ll be reading a selection of new poems and maybe a few old favorites. I’ll have copies of my poetry chapbooks and fiction novels for sale. Hope to see you there! Evernight Teen – Teen Read Week Scavenger Hunt! Teen Read Week™ is a national adolescent literacy initiative created by the Young Adult Library ServicesAssociation (YALSA). It began in 1998 and is held annually during the third week of October. Its purpose is to encourage teens to be regular readers and library users. Seek the Unknown @ Your Library is Teen Read Week’s theme this year. Explore and learn about the unknown through mystery, adventure, sci-fi, and fantasy books! Our authors are playing a game of hide and seek this week with a fun Scavenger Hunt you can even play in your pajamas! What’s up for grabs? We’re giving away an All-New Kindle Paperwhite eReader randomly chosen from all correct entries! Plus, we’ll randomly select three lucky commenters to receive $10 Evernight gift certificates! Just explore the exciting books onEvernight Teen and let us know which titles you’d love to read and why. 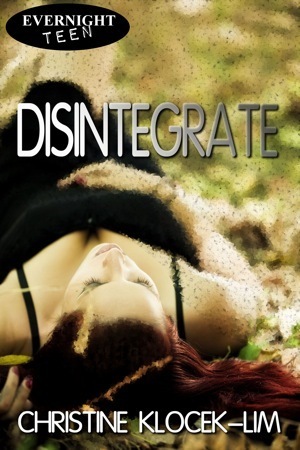 In honor of Teen Reading Week (Oct. 13-19), I’m giving away two copies of Disintegrate! Disintegrate is a bestseller on OmniLit, a Night Owl Reviews Top Pick, and an Evernight Teen Editor’s Pick! Emily just wanted a normal life: a boyfriend, college, two parents who loved her. Instead, her dad disappeared when she was fourteen and her life at college is anything but ordinary. When you can manipulate matter like putty and you have no idea why, how do you pretend to be like everyone else? What happens when you meet a guy who has the same powers? Do you trust him to help you find the answers you need? Emily desperately wants to believe that Jax can help, but the stakes grow higher than she’d ever expected: someone is after them and they’re not afraid to use violence to get what they want. Giveaway ends October 19, 2013. USA Today’s Happy Ever After blog is talking about my bucket list today! Strangely, all the things I would like to do before I die revolve around places I want to go: a desert, an ocean, and to visit a ginormous tree. Click through to read the whole post! And don’t forget, you can still get Disintegrate on your Kindle for only $0.99 at Amazon! 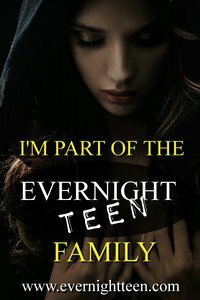 All Evernight Teen titles are on sale, including Disintegrate! Guess what’s going to be $0.99 on Amazon? If you thought, hmm, maybe Christine’s book, Disintegrate, will be insanely cheap for a whole week, you guessed right! Disintegrate and the rest of the Evernight Teen ebook titles will be on sale for 99 cents for a week, starting Monday, August 5th! You can’t beat that deal! That means you can get seven books for $7!